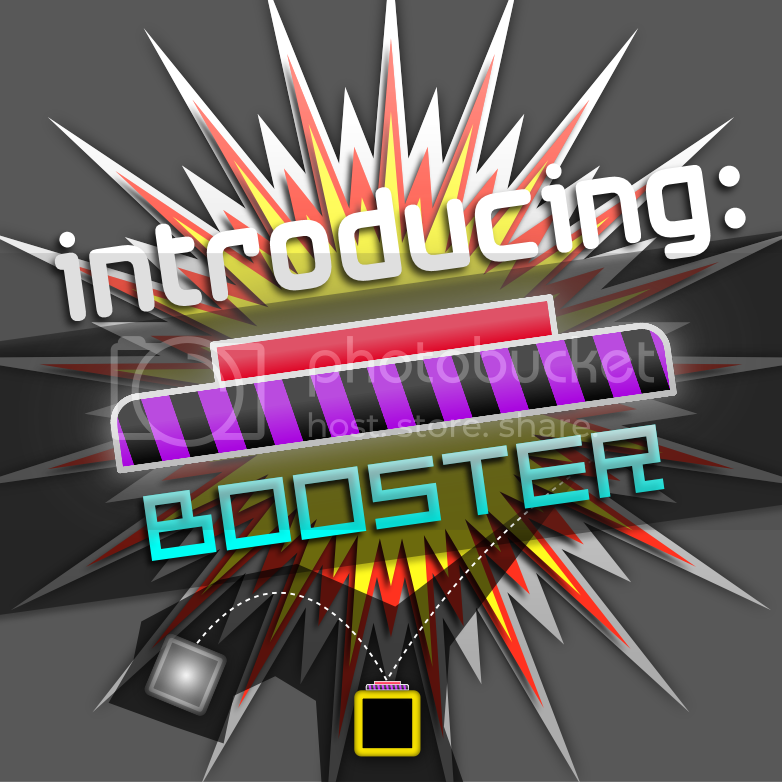 The Booster will make the player jump really high! And in the future, you will be able to modify the jump speed as well! You can even put a Booster right above the player and flip it upside down, allowing you to create crazy passages! Here go my TRT skills! Stop bitching, I'm working on it. Your're Stats Are "poor", Do You Want It To Get Worse? # The One And Only Oreo King!